Do you want to fail-proof your pantry? 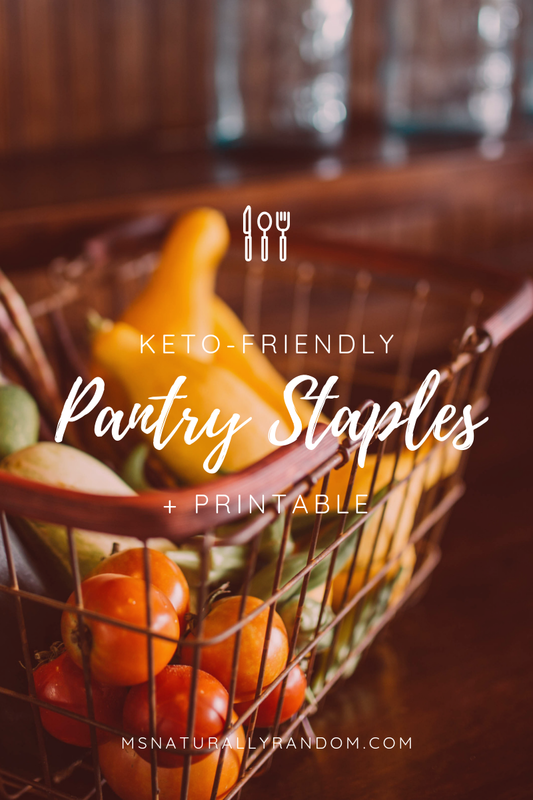 I'm covering how to stock a ketogenic-friendly pantry, that includes a printable list of basic essentials. I will walk you through all the things you might want for your pantry. I bolded MIGHT because decisions about consumption are always very personal. I would suggest taking some time to determine your food preferences prior to running out to buy anything that I have listed. You might also like: FOOD | WHERE'S THE MACRO INFORMATION, SHAN?! Satisfying your tastes and preferences daily will determine if you'll be able to stick to the keto lifestyle! It may be more cost-effective for you to slowly build this list. Overhauling your fridge and pantry with every suggested low carb item at once can be expensive. So I know I've been talking about all this #Keto stuff lately and just wanted to pop in and create a resource that I wished I had when I began this lazy ketogenic journey. Preparation is key when it comes to starting anything new. I'm providing the list as an easy printable so you can just print and have on your refrigerator. If fruits being included at all seems odd, remember macronutrient needs and goals differ for each person and carbohydrate intake can be modified to fit any needs. If I decide to include strawberries and a square of a sugar-free chocolate bar as a snack today, it could work (for me). I would then adjust my carbs for the remainder of the day to stay within my goals. Here are a few reading resources that might be helpful in arranging your personal meal plans. Is this list missing something? Drop your favorite Keto-friendly foods into the comments!